I am Jack Byno, a traffic ticket lawyer that has been representing clients in Waxahachie, Texas since 1994 with speeding tickets, CDL violations, lifting traffic warrants, and driver's license suspension hearings. The law requires that you appear in the Waxahachie Municipal Court on or before the due date on a speeding ticket. However, you can retain an attorney to appear in court on your behalf. 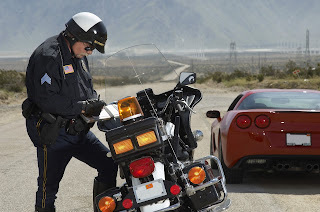 Contact the lawyers of Jack Byno & Associates for help with your Ellis County traffic tickets. Do not just pay your Waxahachie speeding ticket ! If you simply mail the court a check for payment of the violation, that is a plea of guilty and you will have inadvertently put the citation on your driving record. That may lead to state surcharges, higher insurance rates, and in some cases, a suspension of a driver's license. If you retain the attorneys of Jack Byno & Associates we can appear in court on your behalf, and assuming you qualify, we can plea your case to a deferred disposition. That is a type of probation that will keep the speeding ticket off of your driving record if you successfully complete it. For more information about whether you qualify for probation on your Ellis County speeding ticket contact me . If you have been issued a traffic warrant in Waxahachie, Texas, it is not too late to save yourself from an embarrassing arrest, possible jail time, and other penalties. If you deal with the arrest warrant proactively, you will still have the opportunity to have your day in court. The lawyers of Jack Byno & Associates can post bond and lift your traffic warrants. It is time to get ahead of the upcoming statewide warrant roundup. Contact me to lift your Ellis County traffic warrants. More about Waxahachie Warrant Roundup . Some attorneys represent clients with Ellis County speeding tickets now and then, but if you have a commercial driver's license you need a lawyer that has been representing CDL holders since 1994. You have a lot on the line and you want an attorney with experience. Contact the lawyers of Jack Byno & Associates if you have a CDL violation in Waxahachie, Texas. Jack Byno & Associates is a law firm devoted to the practice of defending speeding tickets, lifting traffic warrants, fighting CDL violations, and contesting driver's license suspensions . When you need lawyers that can be in court for you and protect your rights, contact me .